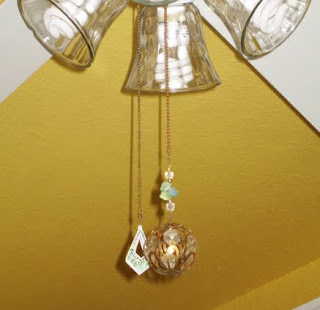 Suzanne's Crazy For Collars: ENHANCING THE COMMON CEILING FAN--A TUTORIAL AND GIVEAWAY!! 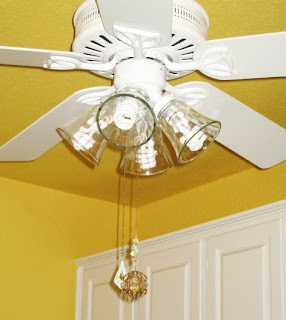 ENHANCING THE COMMON CEILING FAN--A TUTORIAL AND GIVEAWAY!! 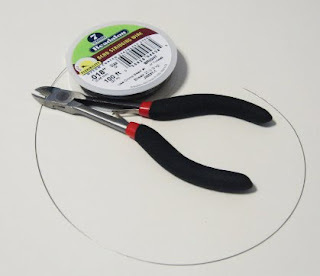 I'm linking this tutorial with DIY DAY over at A Soft Place to Land and Today's Creative Blog's weekly edition of Get Your Craft On! 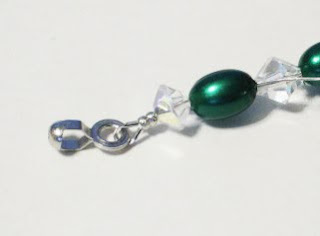 Be sure not to miss the Giveaway at the bottom of this tutorial--it ends on October 31! 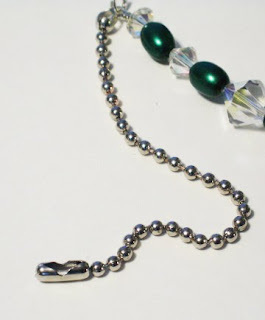 This great little device: ball chain coupling and ball chain connectors. I was able to find the chain, couplings, and connectors at my local Ace Hardware store. 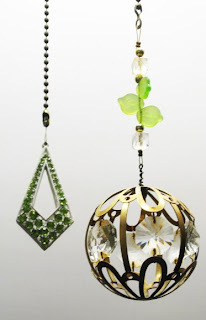 Choose your focal piece for your Fandangle. 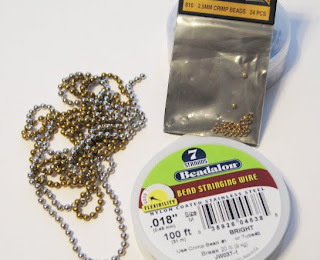 Using the wire cutters, cut off 8-10" of beading wire (more if you are making an extra long Fandangle). 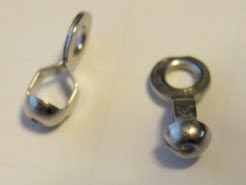 Optional: After using these in various spots around the house, I did find that the coupling could actually cut through the beading wire if family members repeatedly gripped the beaded portion of the Fandangle, instead of the actual chain portion, for making fan adjustments. 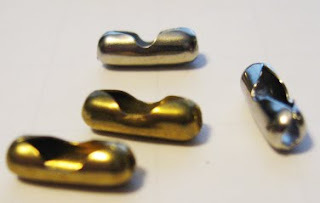 I found these little gadgets that seem to add extra strength and help to prolong the life of the Fandangle. 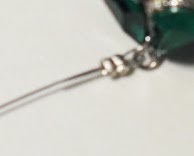 If you choose to not incorporate them in your designs, be sure to emphasize to users/recipients to not pull on the beaded portion of the Fandangle. 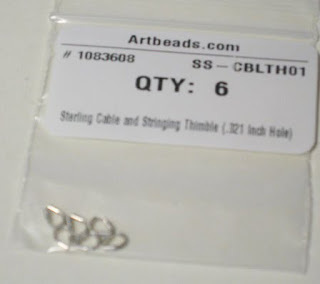 As in Step 3, add 2 crimp beads and the coupling (with optional stringing thimble in place) to the beading wire, then pull the wire back through the crimp beads and a few of the first beads. 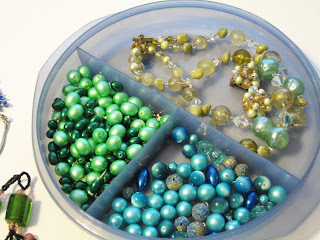 Remove any slack from the wire, press (crimp) and secure the crimp beads in place then trim off any excess wire. 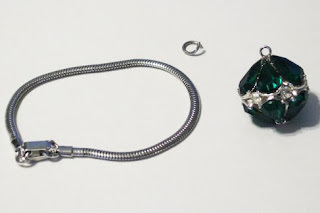 Decide how long you will need the ball chain, cut it to length, attach one end to the coupling, and add a connector to the opposite end. 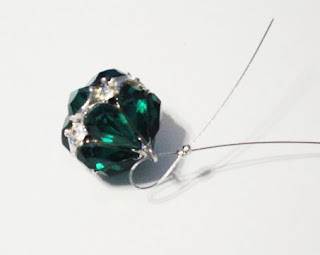 Your Fandangle is now complete--just add it to the pull chain of your ceiling fan! Add a fun tag and it is ready for gift giving! 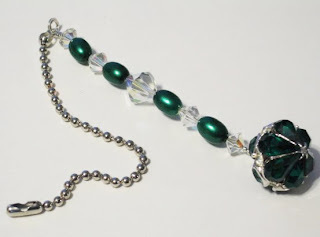 One lucky reader will receive their choice of either the (1) emerald green charm FANDANGLE; or (2) blue rhinestone brooch FANDANGLE. To enter just add a comment to this post, letting me know which design you prefer. 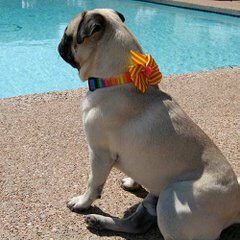 To increase your chances of winning, visit my Crazy For Collars Etsy shop and let me know in a separate comment to this post which Christmas collar design is your favorite. Be sure to include an email so that I may contact you if you are the lucky winner. Entries will be accepted until October 31, 2009. The randomly selected winner will be announced on November 1. At that time I will contact the winner via email to obtain the mailing address. 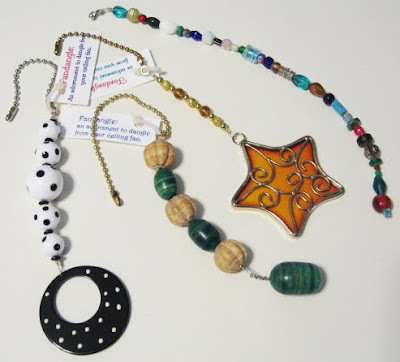 I'm linking this post to Susan's weekly Metamorphosis Monday Event, so click on the image below to see lots of other wonderful "re-purposings" and "creations". Suzanne, You are so good at these tutorials! Great blog!!! Great ideas. Thanks for the tutorial. Don't have any ceiling fans, but the light in my laundry area needs some help. Hi, Suzanne..well, I live in West Texas so you KNOW I have fans in every room!! :)....and not very far from you. Maybe we can get together for an afternoon of lunch and shopping one day!! Fun! I love your ideas...so pretty. So cool and I do have lots of ceiling fans!! I would love the green one!! It looks like a lot of work and I don't think I would like to try to find all of the things I would need!! YIKES...but ohhhhhhh so cool. Too cute! I have ceiling fans in just about every room that these would be great for... Thank you for sharing! How cute and creative, love these! These are beautiful! I'm a shorty and need that blue one to reach my fan :) Great instructions--but I'd rather win one :) Thanks for both! Green would be awesome in my living room! I love the star one you designed too. 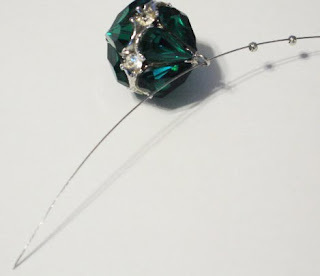 How sweet to do a giveaway and a great tutorial too. 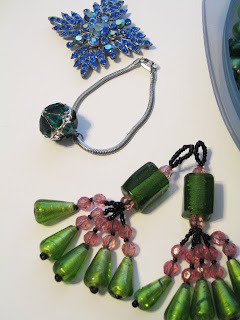 I love the blue rhinestone one! woah, the white triple collarette is amazing!!! Hi Suzanne, You are such the talented artist! 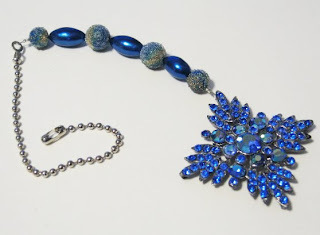 I like the blue rhinestone pull the best. 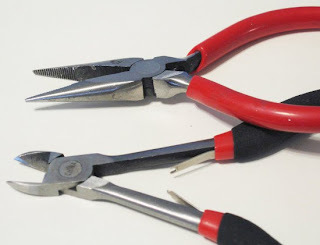 I need a new wire cutter, mine is pitiful. Hope all is well, haven't heard from you for a while. Love the blue one! I'd go great in my living room. Thanks for the tutorial! I would happy with either one! I love these. What a great idea for the fans in my house. I'd love the blue one if I win. Oh Suzanne, this is great! Did I ever tell you that I grew up in San Angelo? And I had a very very very good friend from Abilene, her dad coaches the HS football team. Those are really neat! Sid you know you were featured on U Create! The blue one would go perfectly in my daughter's bedroom. So lovely! I will have to make one of those for our two ceiling fans! What a cute idea for home warming gift. Loved this idea can't wait to try it. Came here from UCreate's blog. Love the blue one, very cute idea! Thanks so much for sharing your tutorial. I don't have any fans with a pull, but I have some friends who do and this would be a great Christmas gift for them. Could you perhaps do a tutorial on the matchbook notepads you have been send with your collars? Oooh! I just ove these! 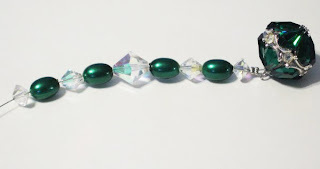 I think my favourite would have to be the emerald green one though, because green's my favourite colour! These are fabulous!! I love this idea! Both fandangles are beautiful, but I will say I like the blue one best. Great tutorial, Suzanne, you are so good at writing them! I wouldn't have the patience, haha! The blue snowflake collars are fantastic! Oooooooo!! LOVE these!!! Just the right amount of glitz!!! I have a few fan that NEED these!!! Those fandangles are so much fun! Great idea! Definitely spruces up boring ol' pulls! really love the stare one. would go great with the western theme in the living room. and love your collars too. I love this tutorial it is great. Thank you!! The heart of every ceiling fan is the motor. The motor is responsible for producing quiet operation while driving the blades for air movement. Thanks for the tutorial. This is just what I've been searching for. I like the star Fandangle.